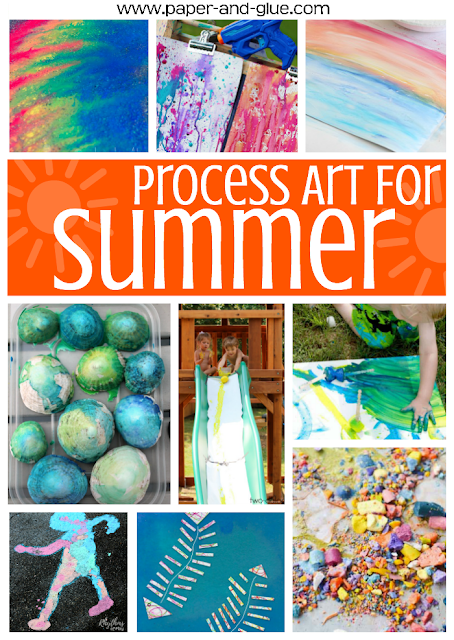 Summer is the perfect time for process art! 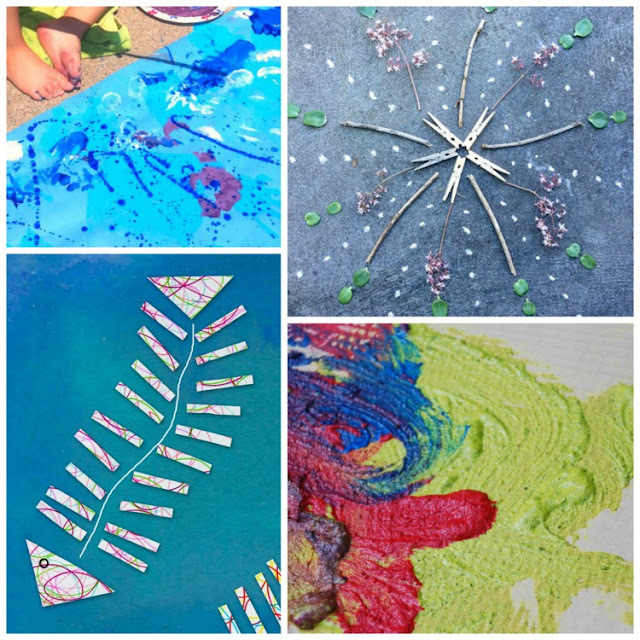 Actually, any time is a great time for process art, but something about the slow, lazy days of summer make it even more inviting. 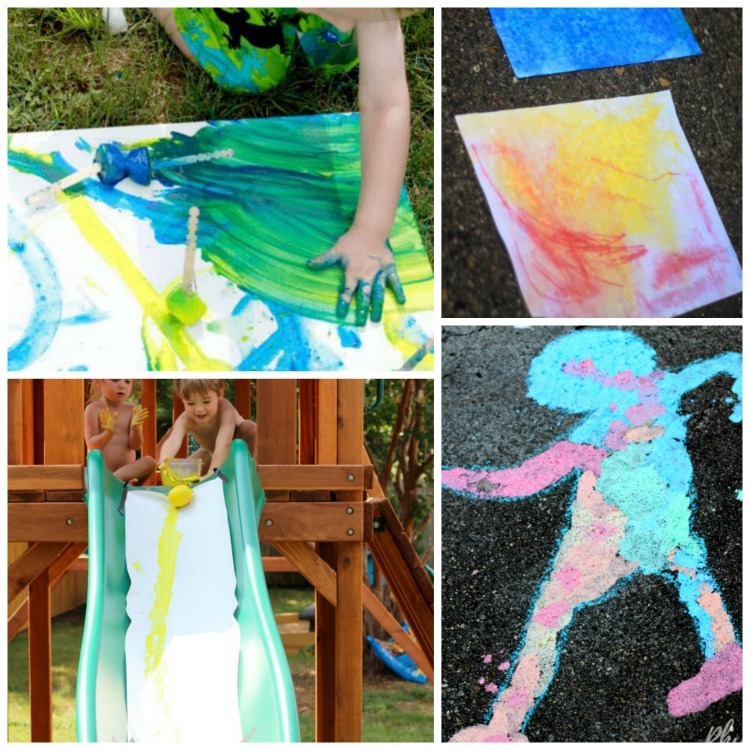 So many process art projects work best outdoors where kids can get messy, so warmer weather is a plus. 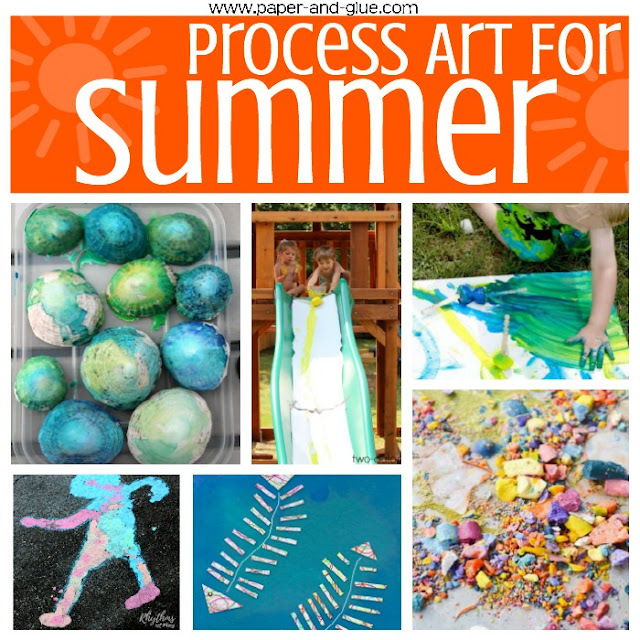 Any of these Process Art Activities For Summer would be a great way to spend some time with your kids! 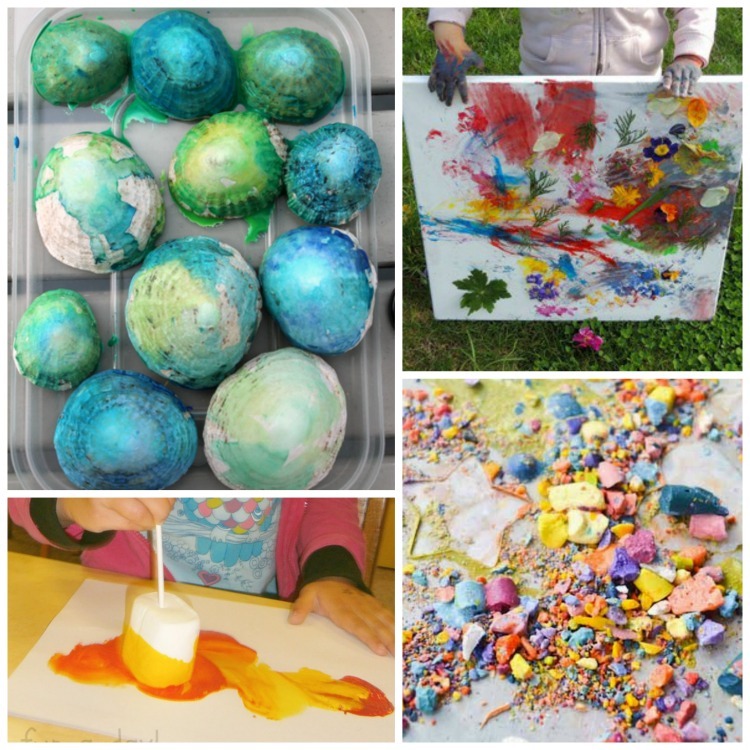 Just click on the activity title below each image collage to learn more about the project. 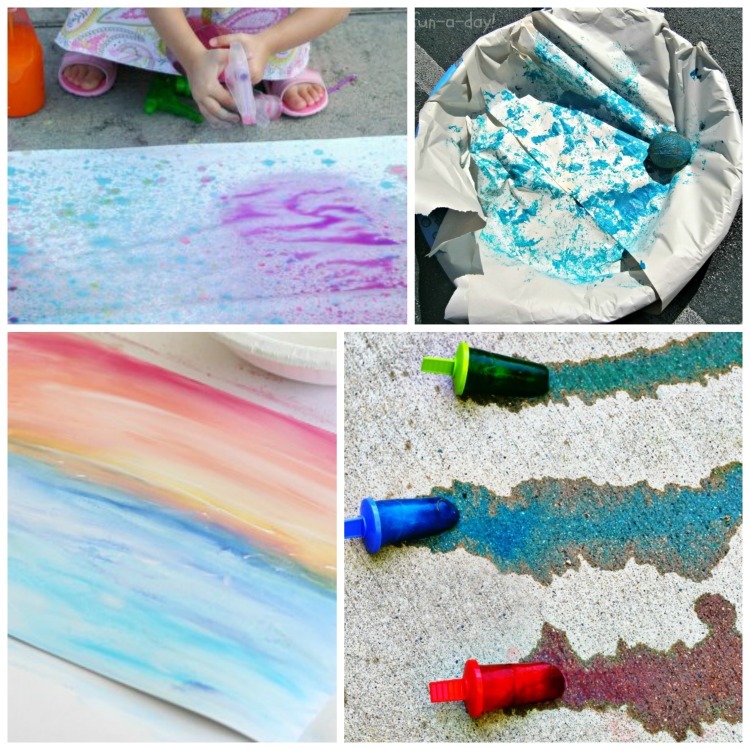 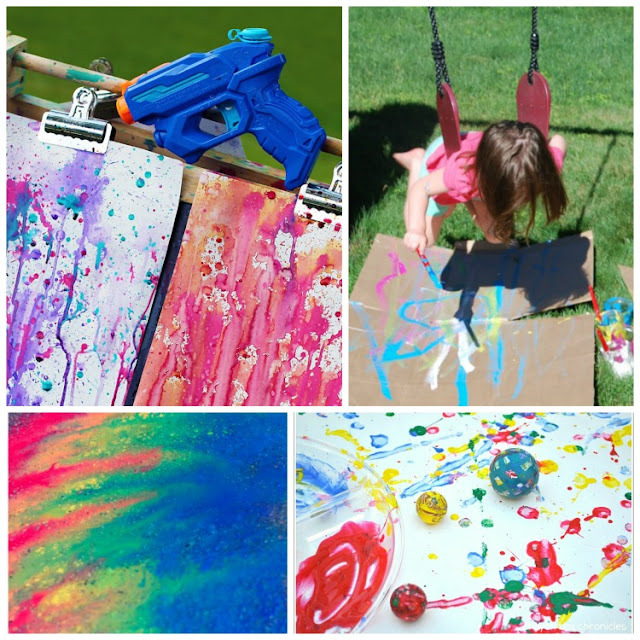 Process Art for Summer - Great summer ideas for using paint, chalk, ice, nature, pastel, sand, and more. Art projects for toddlers, preschoolers, kindergarten, and elementary!